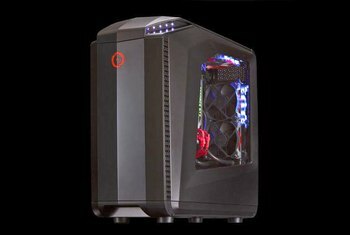 Gaming performance is strong and the VR-ready configuration can handle both Oculus Rift and HTC Vive headsets. Acer includes a SteelSeries gaming mouse and keyboard with the G6. A headphone stand is built into the front of the G6 case. The interior of the G6 is cramped, making it difficult to upgrade components. Aesthetically speaking, the enclosure has a love it or hate it design. 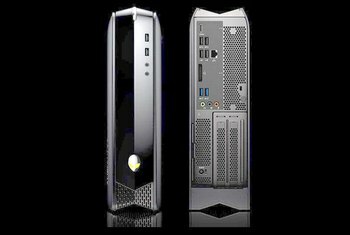 Acer's G6 is on the pricey side given the quality of the components. 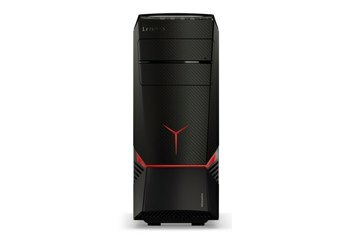 Acer’s new gaming desktop, the Predator G6, is large and has a bold look. 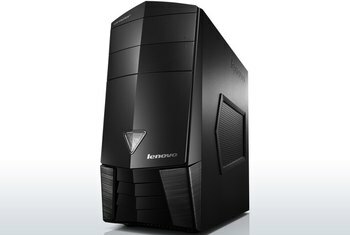 Intel processors up to a Core i7-6700K are available. The VR-ready configuration is compatible with the Oculus Rift and HTC Vive. The single NVIDIA GeForce GTX 980 graphics card supports a resolution of 3,840 x 2,160 pixels, and several expansion slots are available, including two M.2 slots for fast SSD storage. 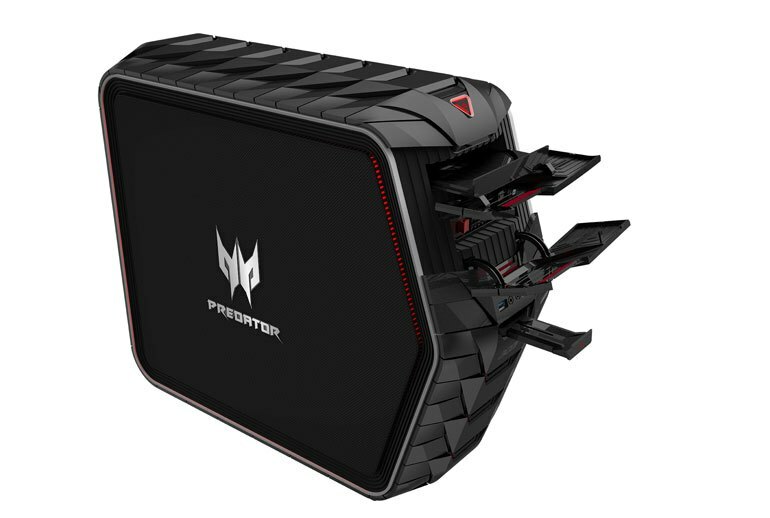 The Predator G6 has 64GB of memory, Gigabit Ethernet, 802.11ac Wi-Fi, and Bluetooth 4.0. 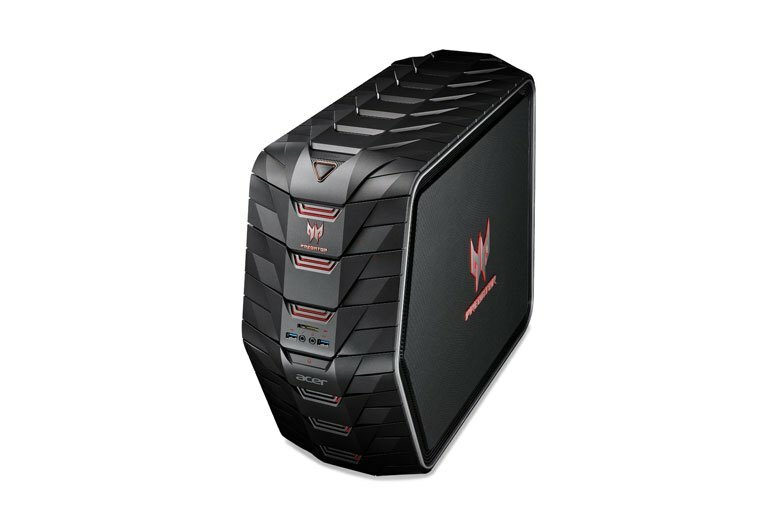 There are six USB 3.0 ports and two USB 2.0 ports on the G6. Included in the box is the SteelSeries APEX RAW gaming keyboard and Sensei RAW gaming mouse. The series isn't built for customizers, but if you simply need a gaming computer, the Predator G6 offers stellar components in a deluxe package. As the main system I used for setting up and test-driving my new Oculus Rift CV1 headset, it worked great, keeping in mind that VR requires a steady 90 frames per second per eye. 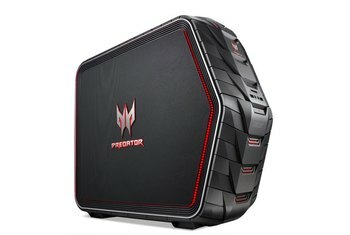 The Predator G6 has more than enough muscle to play mainstream games at high settings, thanks to its Nvidia GeForce GTX 980 graphics card and 4GB of video memory. The hidden panels feel robust, but like the rest of the exterior, they’re simple plastic – even the hinges. We’re not confident they’ll hold up after a few years of frequent use. 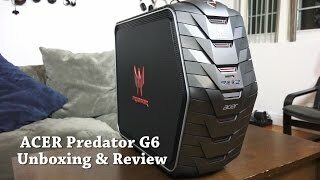 Unfortunately, upgradability isn't one of the Predator G6's strong points. 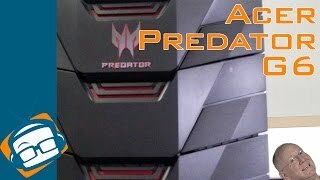 Bundled with the Predator G6 desktop is a SteelSeries gaming keyboard and mouse set, a step up from what you usually get with a desktop. I've had no issue running any of the wide variety of VR games that've been available to us thus far - everything you've seen on SlashGear thus far and more.